I recently took a flight from Atlanta to Istanbul. 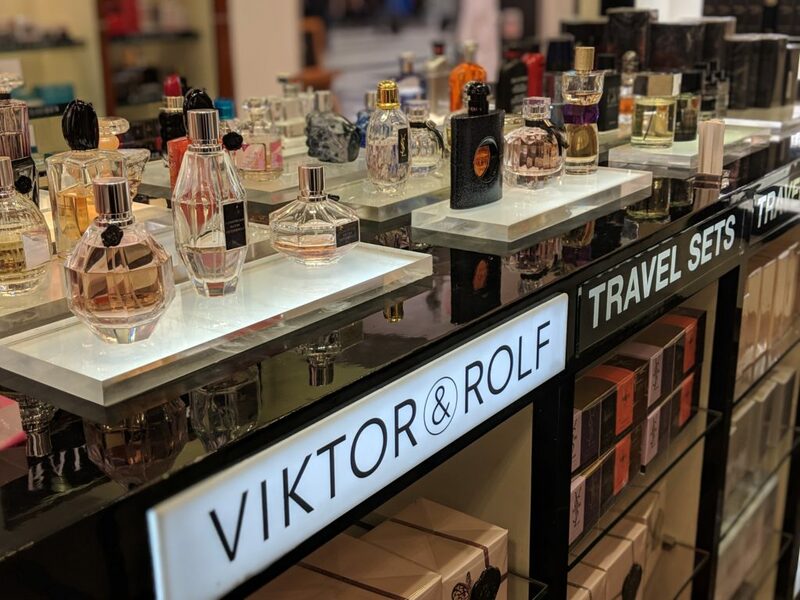 It was really a 24-hour stopover that allowed me to check out this exotic wonderland before my connecting flight. With only a limited time to see the city, I decided it would be well spent at a Turkish hammam. That’s a hot steam bath for the uninitiated. Some relaxation was most needed, and the overall impetus for this trip after a hectic holiday season. I landed, dropped my bags at the hotel and trekked through Istanbul’s streets in search of my serenity. After an hourlong hammam (which left me wondering if I’d actually ever bathed before), it was time for my massage. As I lay in the still dark room, I was reminded (between quick snoozes) that I needed more moments like this in 2019. I committed to finding them wherever I am, rather than waiting until I’m halfway around the world. 1. Lather: As soon as you step inside, you’ll notice the calming hues and rich aromatherapy. Everything is so peaceful. As I browsed, I smelled the soaps and checked out the travel kits. 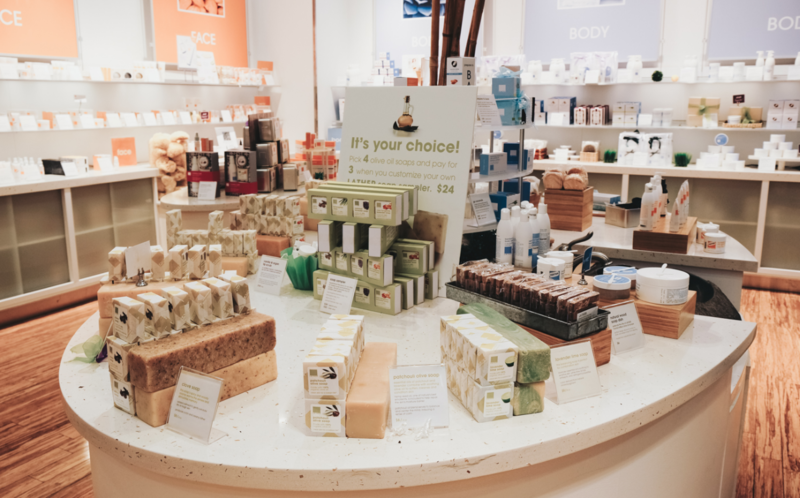 Then I learned that they have a custom blending bar, where you pick the oils of your choice and pair it with and unscented body wash or moisturizer. Voila! Your signature scent. 2. XpresSpa: I’m a new convert to the legion of airport travelers with neck pillows. I always thought they looked bulky, but with a 10-hour flight ahead of me, I decided to give one from XpresSpa a try. 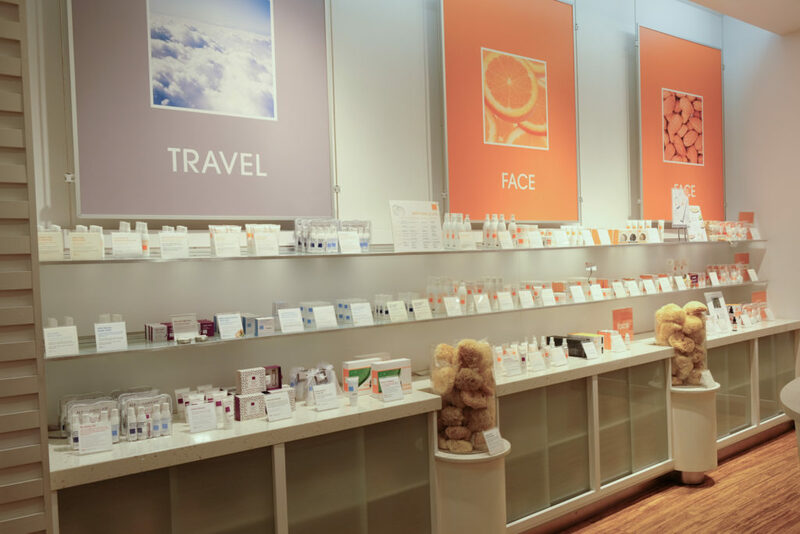 In addition to comfy travel accessories, they also offer pampering services such as massages, pedicures and facials. 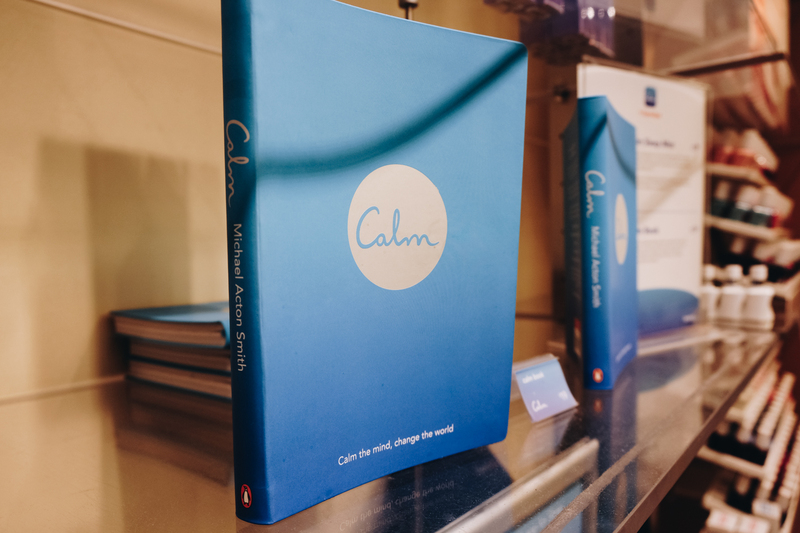 And with XpresSpa’s new partnership with Calm, users of the app receive 10 percent off services. 3. The Beauty Bar: I was chatting with Abbey Glass, a rising Atlanta-based women’s wear designer, when she mentioned that her favorite airport ritual was getting there early to smell new perfumes and try on makeup because she normally doesn’t have the time in her busy schedule. I’d never really thought about that before. However, in perusing the store to find a travel-sized perfume for my excursion, I quickly saw the appeal. 4. The Shoe Shine: I normally don’t get my shoes shined. When I’m in the airport, I’m usually in sneakers or some equivalent. However, I’m adding this indulgence for others who might be traveling for business or those who get their sneakers shined (Is that a thing? Don’t do this.) 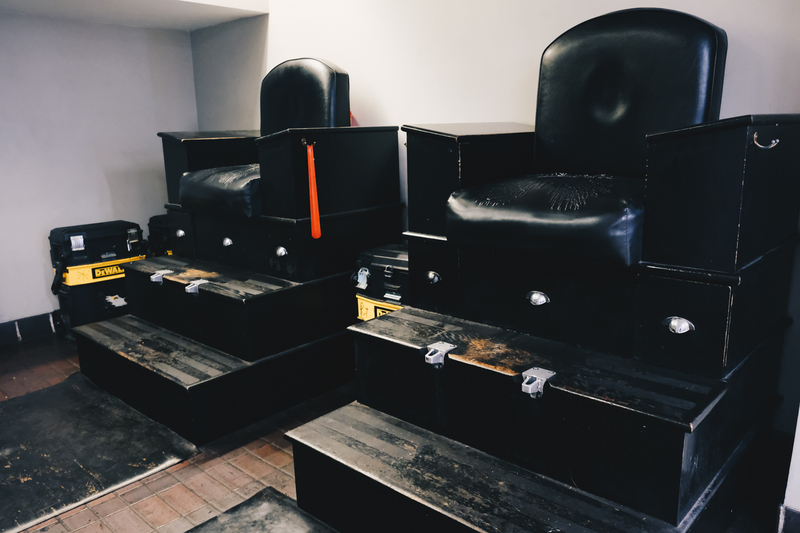 What I like about it most are the old-school shoe shine chairs. It immediately transports you into a different era. I’m almost tempted to wear a pair of dull leather shoes so that I can slip away into the comfortable chairs. There’s nothing more timeless than looking your best.